Teaching spatial thinking empowers the populace with the skills to understand and act upon the big issues facing planet Earth. People have always been fascinated with investigating their home—the Earth. To help understand our planet, ancient scholars in Rome, Greece, and China founded the study of geography more than 2,500 years ago. Today, spatial thinking is more relevant than ever before, as issues such as climate change, economic globalization, urban sprawl, biodiversity loss, sustainable agriculture, water quality and quantity, crime, cultural diversity, energy, tourism, political instability, and natural hazards grow in importance on a global scale but also increasingly affect our everyday lives. To grapple with these issues requires a populace that has a firm foundation in spatial thinking—a populace that can see the “big picture,” but that also understands how different patterns and trends are related, from a global scale all the way down to their local community. Spatial thinking is concerned with all of the relevant issues of our time, because all of these issues have a geographic component. These spatial relationships are analyzed using maps in digital form within a geographic information systems (GIS) framework. In a GIS framework, rather than as static documents, these maps are dynamic. They can be combined with other maps and data, as well as charts, databases, and multimedia. GIS, remote sensing, and global positioning systems (GPS) technologies make up the geotechnologies, which help people make everyday decisions and plans more effectively and efficiently. 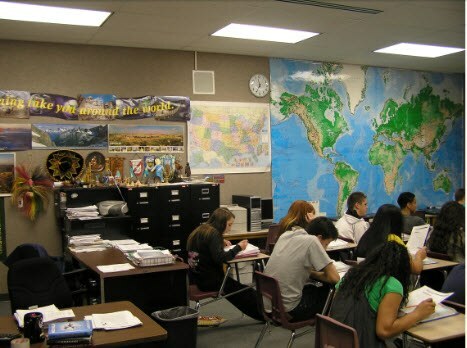 In education, GIS offers a powerful decision-making toolkit that can be across administration, policy, and instruction. GIS offers administrators a way to visualize and manage everything from monitoring campus safety, mapping campus buildings, cable, and other infrastructure, routing school buses, planning where and when to close schools and open new ones, and strategizing recruitment efforts. GIS provides educational policymakers with tools to see patterns in educational achievement and where to target new programs. In instruction, GIS in the hands of students helps them to understand content in a variety of disciplines, not only in geography, but in history, mathematics, language arts, environmental studies, chemistry, biology, civics, and many more. What is the relationship between birth rate and life expectancy? Why does this relationship exist? How does acid mine drainage in a mountain range affect water quality downstream? How will climate change affect global food production? With GIS, students explore the relationships between people, climate, land use, vegetation, river systems, aquifers, landforms, soils, natural hazards, and much more. With the flood of information available to students today, they need to be able to deal with uncertainty about data, to understand its limitations with regards to error and omissions, and to effectively manage it. GIS is a tool that provides holistic computer and management skills for students, a part of a geospatial technology competency model recognized by the US Department of Labor that includes computer, personal, and organizational competencies. Using GIS provides a way of exploring not only a body of content knowledge, but provides a way of thinking about the world. [3,4] These skills were identified as essential to K-12 education by the National Academy of Sciences. The geographic perspective informs other disciplines. When epidemiologists study the spread of diseases, scientists study climate change, or businesspersons determine where to locate a new retail establishment, they use spatial analysis. In each case, GIS provides critical tools for studying these issues and for solving very real problems on a daily basis. GIS in instruction also incorporates and depends upon fieldwork, which is critically needed for understanding and appreciating our world. Students can gather locations with GPS and attribute information about tree species, historical buildings, water quality, and other variables on a field trip or even on their own school or university campus. GIS-based questions begin with the “whys of where”—why are cities, ecoregions, and earthquakes located where they are, and how are they affected by their proximity to nearby things and by invisible global interconnections and networks? 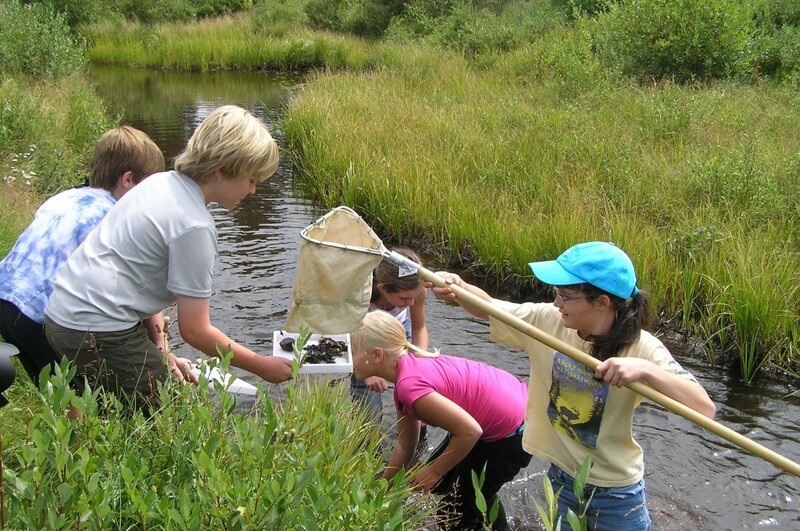 After asking geographic questions, students acquire geographic resources and collect data. They analyze geographic data and discover relationships across time and space. GIS helps students to act on their investigations, to put their recommendations in place, to improve the quality of lives of people and the health of the planet. Students present the results of their investigations using GIS and multimedia. Their investigations usually spark additional questions, and the resulting cycle is the essence of geographic inquiry. Our world is constantly changing. These changes include those brought about by physical forces such as erupting volcanoes, meandering rivers, and shifting plates, but also those brought about by human forces, such as urbanization. Students use GIS to understand that the Earth is changing, think scientifically and analytically about why it is changing, and then dig deeper: Should the Earth be changing in these ways? Is there anything that I should be or could be doing about it? This captures the heart of spatial thinking, inquiry and problem-based learning. It empowers students as they become decision-makers to make a difference in this changing world of ours. Gewin, V. 2004. Mapping opportunities. Nature 427: 376-377. 22 January. National Academies Press. US Department of Labor. 2010. Geospatial technology competency model. http://www.careeronestop.org/competencymodel/ pyramid.aspx?GEO=Y. Bednarz, S. 2004. GIS: A tool to support geography and environmental education? GeoJournal 60(2): 191-199. Kerski, J. 2008. 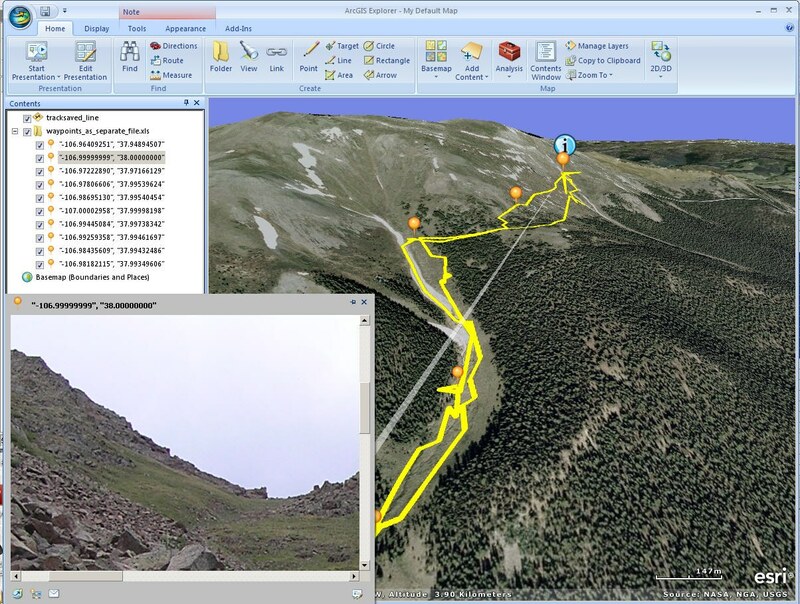 The role of GIS in digital earth education. International Journal of Digital Earth. 1(1): 326-346. National Academy of Sciences. 2006. Learning to Think Spatially: GIS as a Decision-Support System in the K-12 Curriculum. Louv, R. 2005. Last Child In the Woods. Algonquin Books.